Friday, 26 October was Colours Day at Pakuranga College. 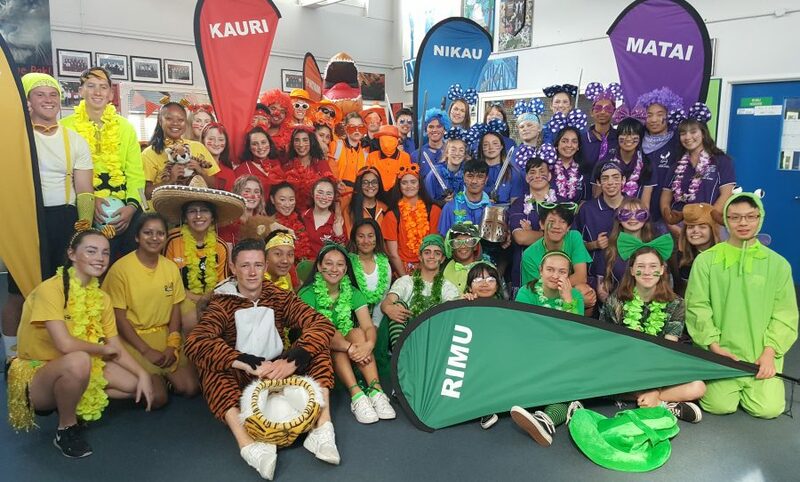 In this annual tradition, House Leaders for 2018 dress up their successors for 2019 in House colours and present them to the school by walking around during breaks. As part of the activities, each House group also has a list of teamwork challenges to complete. Not only was the day great fun and in good spirit, it was also colourful and entertaining. Congratulations to all of our 2019 House Leaders!